Spacious apartment which can accommodate up to 8 guests. It comes with 3 bedrooms, 4 toilets and 3 beds. Also, extra mattresses are provided.Apartment has elevator access and playground which is perfect for children. Apartment provides a peaceful and quiet environment to sleep in. The unit is also relatively walk distance to bus stops,shopping mall, food court,MRT(6,7mins) &amp; supermarkets. Each bed room had a toilet and shower and the bed was comfortable too. Convenient area with a shopping mall close by. 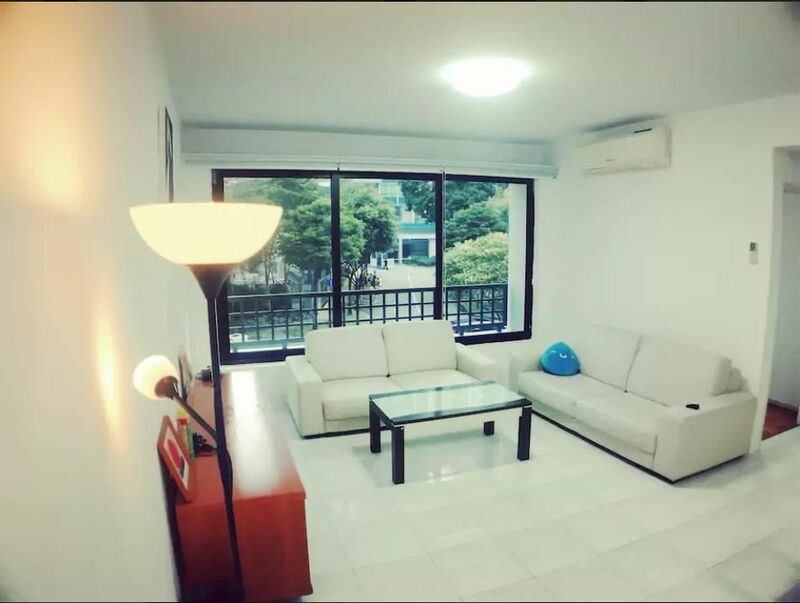 Very spacious apartment and very convenience as it just a few minute away from a shopping centre and about 10-15mins to Mrt. Suitable for a family stay. overall it is good location suit for family located near mall and bus stop , easy to find food, all stuff working AC, Mwave, TV but so sorry for wifi it is not working at all.